A few years before the eponymous salt incident, General Winfield Scott and his troops were quarantined by cholera on their way to chase Chief Blackhawk and the last of all native tribes out of Illinois for good. 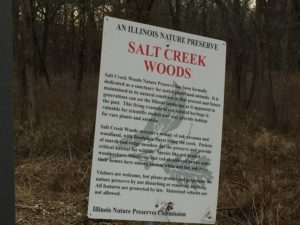 Salt Creek Woods, located in the Bemis Woods unit, must have been among the earliest lands acquired by the Forest Preserve District of Cook County, established in 1909. 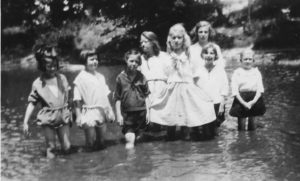 For, in 1921, the District built the Girl Scouts a log cabin, and also dammed up the creek to provide better swimming opportunities. Today, the cabin and dam are long gone. 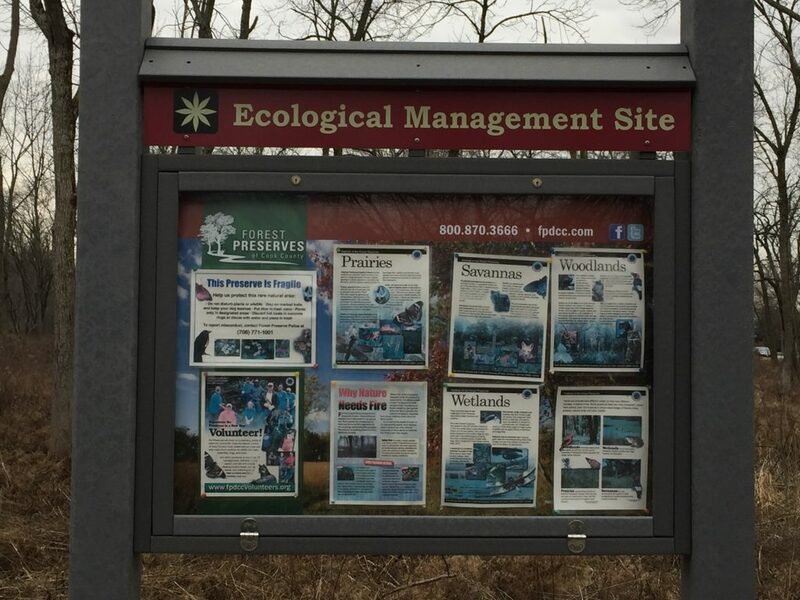 What remains is perhaps the richest birding sites in all of the Forest Preserves of Cook County. 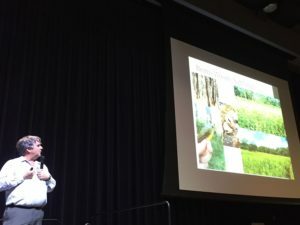 At the recent Wild Things conference–this year’s biennial gathering attracted 1,700 professional and volunteer nature stewards, with 300 on the waiting list–Doug Stotz provided the bird data. Doug is Senior Conservation Ecologist at the Field Museum and one of the region’s premier birders. He shared the results of the 2016 Bird the Preserves, a “big year” competition to see which FPCC site boasted the best bird life. Confessing (with a wink and a nod) that he is not at all competitive when it comes to birding, Stotz revealed that his site–Salt Creek/Bemis Woods–came in at #1 in the competition. 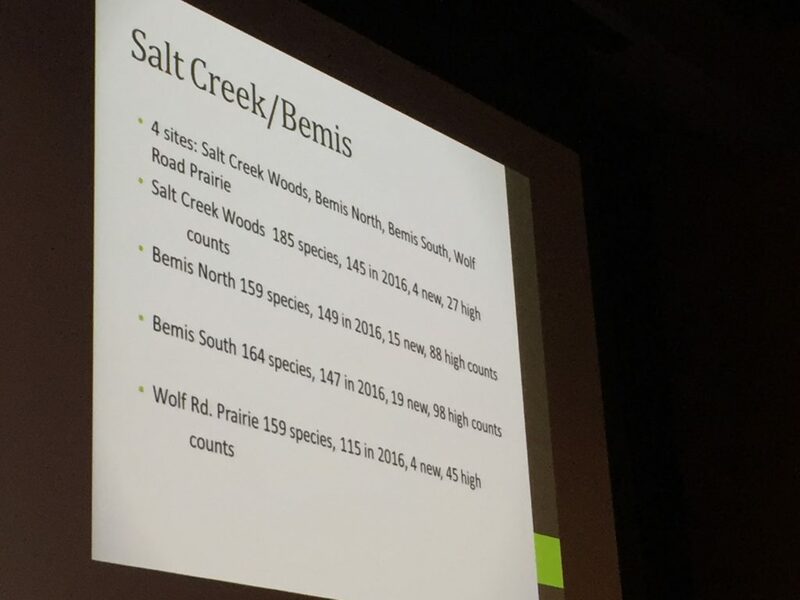 He cited several impressive stats, including the fact that of the four sites he birded within the preserve, the one with the highest total bird count was Salt Creek–a 245-acre tract dedicated as the 8th Illinois Nature Preserve in 1965. Stotz observed that among the reason for the impressive bird count at Salt Creek was the quality restoration and stewardship. As George Fell well knew, the greatest threat to our remaining natural areas is the lack of maintenance. Absent the natural forces that used to maintain our diverse habitats, our prairies, wetlands and woodlands can quickly become overrun with invasive species, both native and non-native. Even woodlands need some level of controlled burns to remain healthy habitat for plants, mammals, bugs and birds, alike. Some of our preserves have become so overgrown that they require heavy duty, manual removal of woody shrubs and even mature trees. 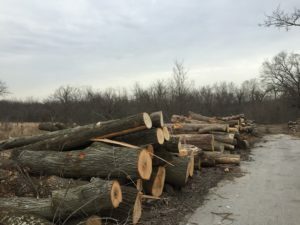 While cutting down trees can be controversial, doing so according to sound, science-based management plans is essential. Overgrown woodlands might appear green and healthy, but as every birder knows they are all but devoid of bird life.